[SOURCE] Tulsa County reserve deputy Bob Bates has been charged with manslaughter in the death of Eric Harris. 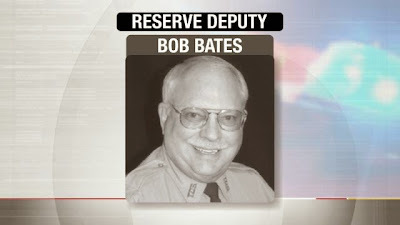 Bates, 73, shot and killed Harris during an undercover gun deal April 2, 2015. “Mr. Bates is charged with Second-Degree Manslaughter involving culpable negligence," said District Attorney Stephen Kunzweiler. "Oklahoma law defines culpable negligence as ‘the omission to do something which a reasonably careful person would do, or the lack of the usual ordinary care and caution in the performance of an act usually and ordinarily exercised by a person under similar circumstances and conditions,'” Kunzweiler said. “The defendant is presumed to be innocent under the law but we will be prepared to present evidence at future court hearings," he said.